Support your favourite NRL team with Australia’s favourite golf ball brand. This exclusive sleeve of 3 Optima golf balls is available in your choice of all the 16 NRL team logos. Packed in Official NRL Merchandise window sleeve. 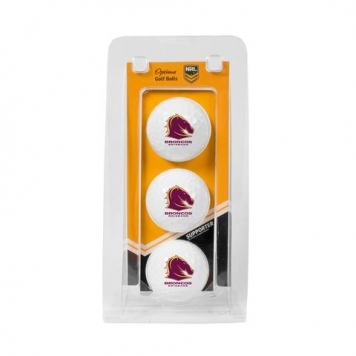 The perfect gift idea for any passionate NRL and golf fan!